A woman is suing after an “emotional support” pitbull attacked her five-year-old daughter. According to the complaint, the girl asked permission of the dog’s owner to pet the dog but the dog became agitated and for whatever reason, attacked the girl. The five-year-old suffered serious injuries to her face including what the complaint alleges is permanent scarring. The plaintiff claims the dog injured muscles and tendons and is suing for over a million dollars for mostly non-economic damages. In addition to naming the dog’s owner in the lawsuit, the plaintiffs have also named to the airport for having a pets policy that allowed potentially dangerous pets to attack others. If the event occurred the way the plaintiff alleges it did, the suit against the defendant is pretty good. But Oregon’s dog bite rule isn’t the same as Florida’s. In Florida, owners have strict liability. If a dog bites another individual without being provoked, the injured party can collect damages. Oregon has a one bite rule that may prevent the plaintiff from collecting anything. According to Florida’s dog bite statute, the owner of a dog who attacks another person is liable regardless of whether or not the owner knew that the dog was potentially dangerous. In other states, a plaintiff must prove negligence but in Florida, dog owners have strict liability. 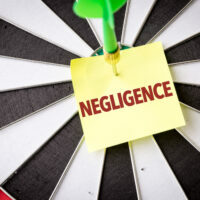 This means that a plaintiff does not need to prove negligence, only that the dog bite occurred and that they had a right to be where they were. On the other hand, the owner who had the dog claimed that the dog was an “emotional support animal”. Unlike legitimate service animals, emotional support animals do not require any specific training to be considered as such. Generally, psychiatrists or therapists are required to sign off on the animal as an emotional support pet but they serve no purpose other than companionship. Serve animals, on the other hand, serve a specific function. They are trained to respond to their owner’s needs and provide them with a specific service. While not all service animals are seeing eye dogs, seeing eye dogs are the most common form of service animal. Service animals can also be trained to recognize the signs of a seizure or provide psychiatric services to those who harm themselves. Under the theory of negligent security, the plaintiffs are alleging their policy of allowing almost any dog into the airport without a crate, created a serious danger to those in the airport. The owner has since been cited by the airport for not putting the dog in a crate. Whether or not the plaintiffs will be able to hold the airport accountable depends on whether their hands-off policy when it comes to animals in their airport contributed significantly to even that injured the young girl. According to reports, airport personnel may only ask dog owners if their animals are legitimate service or emotional support animals and they must accept the answer without requiring further proof. If you’ve been injured by a vicious dog, the Miami attorneys at the office of Alan Goldfarb P.A. can help you recover damages. Give us a call and we can begin discussing your case.